The bell pepper serves as a bowl, holding in all the delicious flavors! Brown the ground beef with 1 Tbsp minced onion and 1 tsp garlic powder. Drain well. Cook the rice, if needed. In a large mixing bowl, combine the browned ground beef, cooked rice, salt and pepper, minced garlic, tomato sauce, and half of a can of corn. Stir in the shredded cheese. 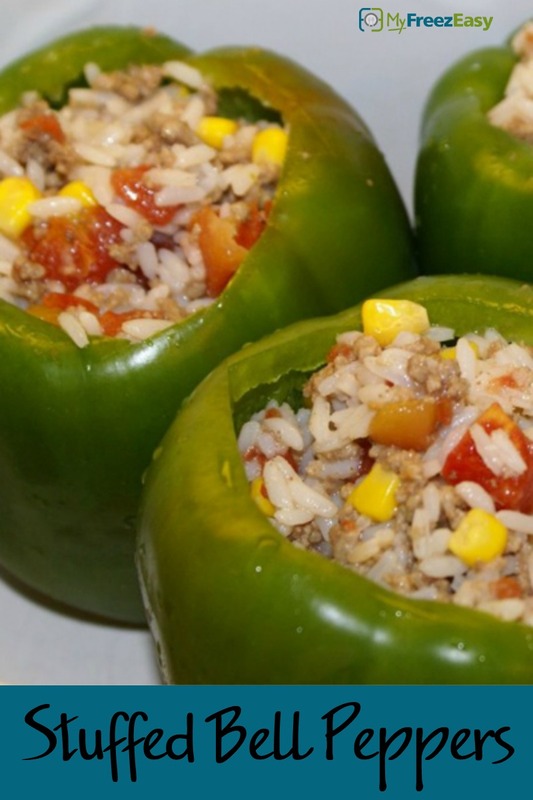 Remove the seeds and pith from the bell peppers and place snugly into a small baking dish. Add the stuffing to the bell peppers. Bake in the preheated oven for 30 minutes. 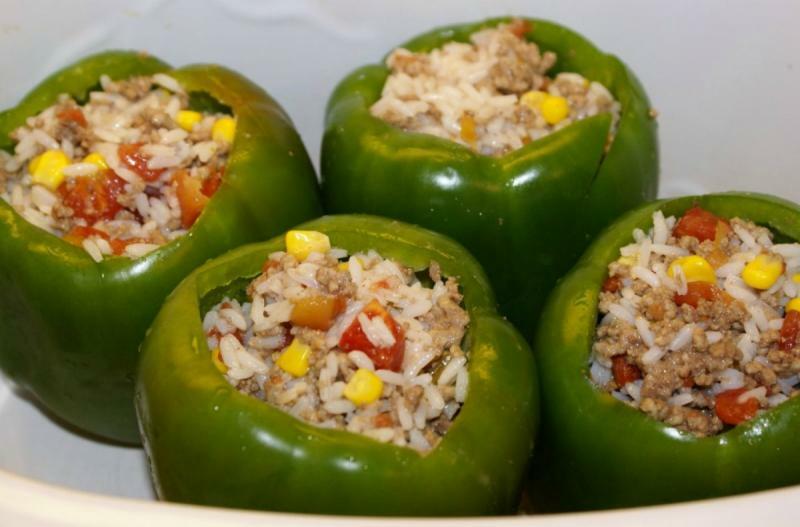 Serve Stuffed Bell Peppers with side salad. Brown 2 lbs. ground beef with 2 Tbsp minced onion and 2 tsp garlic. Drain well. Cook 1 cup rice to yield 2 cups cooked rice. Open and drain 1 can corn, and open 2 cans tomato sauce. Put baggie in the freezer and freeze up to 6 months in fridge freezer or 12 months in a deep freezer. Thaw completely in a warm bowl of water for about 20 minutes, before adding the filling to the bell peppers and baking as directed. Omit the cheese in the filling for dairy-free meal. Thaw completely before adding the filling to 4 seeded bell peppers. Bake at 350 F for 30 minutes.